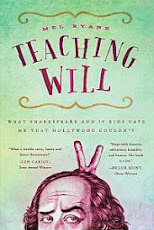 Teaching Will: The Shakespeare Club: Recess: SGF! On days that are too damn tough, when I can't get things right and question my high-falutin' ideas, I need an SGF. We all have those days, men and women alike, and I can vouch for the SFG prescription. Check this out and I'm certain you'll agree: a necessity! "Your going to write a sad poem in your journal and move on." HA! Thanks for the laugh! Nail on the head, my head.